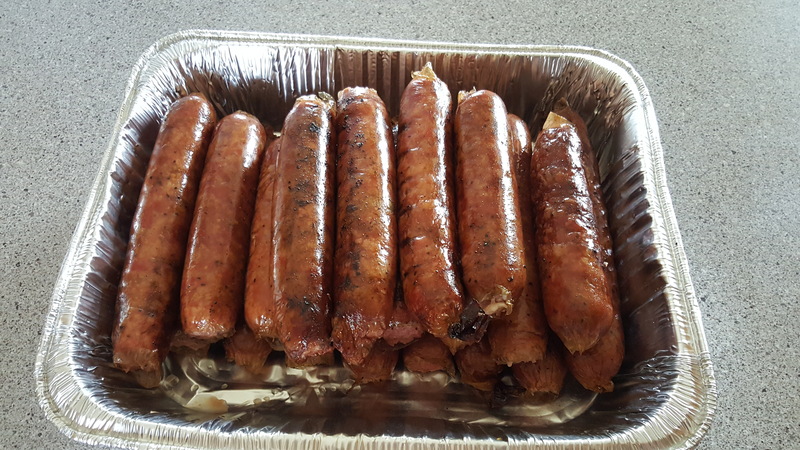 Smoked sausage is one of my favorite summertime foods. It’s even better when it’s freshly made with my own hands. I know exactly what’s in it (no unpronounceable preservative ingredients), and I can tweak the recipe to make it exactly fit my taste buds. 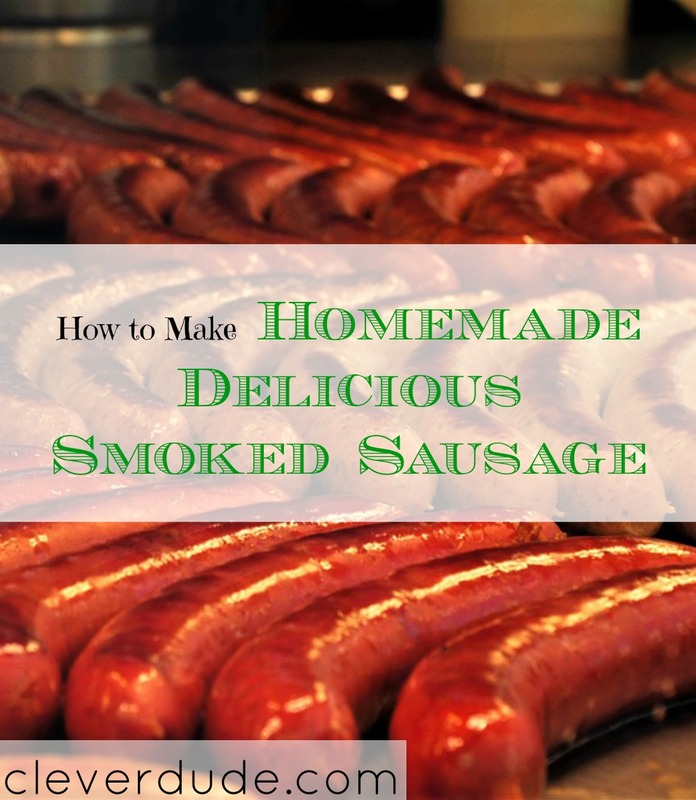 If you make your own sausage, you might be interested in trying out my favorite smoked sausage recipe. *Note: I save trimmings from steaks and brisket to mix with the pork shoulder for making sausage, but you can substitute 2 pounds of beef, or just use 5 pounds of pork shoulder. Cut the meat into 1×1 inch cubes and place in a large non-reactive bowl. Many seasoned backyard BBQers are intimidated by making their own sausage, but like any other skill, it becomes easier every time you do it. One of the hardest things of making your own sausage is finding a great recipe. This tried and tested recipe is sure to tickle the taste buds of you and your friends and family all summer long! How about you, Clever Friends, have you ever made your own sausage? How did it turn out?